Dan Perez's Whitetail Properties is at its core a business, but they're not only making money, they're making a difference in the whitetail industry. This nation has always treasured the white-tailed deer. There's no arguing that. But it seems that we are more than willing to argue about the immediate future of the deer population. Some experts will tell you that hunters should be thrilled with the big buck outlook for this season; others highlight the impending doom spelled out by the combined effects of winter kill, predation, and diseases like EHD. Whom do we believe? As is usually the case, the truth probably lies somewhere in the middle of the two extremes. With that in mind, let's take a look at the good, the bad, and the ugly for whitetails as it stands right now. "The whitetail hunting industry is stronger than ever before," Whitetail Properties CEO Dan Perez told me. "We're armed with more tools now than we've ever had to help us match wits with the toughest and smartest creature in North America.... It's the golden age of whitetail hunting." Perez and his cohorts are at the forefront of that golden age. He has harvested more than 350 whitetails with his bow, including over 50 bucks that qualify for Pope and Young record books. Perez's company, headquartered in famed Pike County, Illinois, sells land in over 20 states. His agents (often fanatic whitetail hunters themselves) act as brokers for buyers and sellers of prime deer real estate. Since its founding in 2007, Whitetail Properties has sold more than 1,500 properties encompassing nearly 300,000 acres of hunting, ranch, and farm land. This is no small impact. According to U.S. 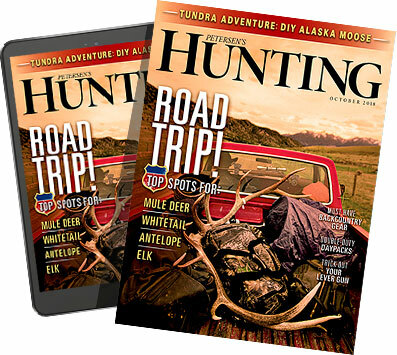 Fish and Wildlife Service hunter surveys, whitetail hunting in the East and Midwest is largely done on private land, while a Quality Deer Management Association survey showed that "90 percent of the land in these regions is privately owned." As companies like Whitetail Properties expand, so does the amount of manicured big buck real estate. It's a great thing for the whitetail in general, as landowners work to create ideal habitat to grow healthy local populations and giant mature bucks. Loss of habitat is still a major issue for some areas, as suburbs expand and cohabitation becomes exceedingly difficult. But, as always, hunters (and businessmen) like Perez are the key to continued abundance of our deer hunting opportunities. As long as big bucks and big buck land remain valuable commodities, healthy populations will remain top priority. "The hunting land business is strong," Perez said. "More and more people are turning to land as an investment, and more and more landowners are realizing that hunters add value to land." As this acreage is doled out to focused hunters backed by conscientious landowners, the quality management of deer herds is becoming engrained in the fabric of key whitetail states. Score one for the good guys. Even though populations are generally healthy, most studies have overall whitetail numbers in a slight decline in recent years. Some states are suffering, while most are thriving. Whitetails can be found in every state in the Lower 48, with the total nearing 30 million. But as they say: more deer, more problems. Go back 40 years or so, and there were parts of the U.S. — especially the Southeast, Midwest, and Northeast — where whitetails had almost no natural predator, save a few bobcats. Coyotes can now be found in every state that holds whitetails, though they aren't indigenous to areas east of the Mississippi River. As the adaptable scavengers they are, coyotes are thriving in rural, suburban, and even urban areas. Their numbers are growing, and that has spelled trouble for whitetail populations. That comes specifically in fawn recruitment. "Many states are reporting lower fawn recruitment rates, often a result of predation by coyotes and even bears," says QDMA Outreach and Education Director Kip Adams. Many other experts and detailed studies back up this major issue. The findings most often quoted on the coyote's effect on fawn recruitment originated in Dr. John Kilgo's 2009 report entitled "Coyotes in the East: Are They Impacting Deer?" Kilgo, a research biologist with the U.S. Forest Service Southern Research Station, studied a 300-square-mile area in South Carolina where there were significant concerns over the possible effects of coyotes on deer. He wrote: "Of 60 fawns monitored over the course of the work, only 16 have survived until autumn, when they are old enough to be safe from predation and can be considered part of the huntable population. That means that 44 fawns, or 73 percent, did not survive. Predation by bobcats and coyotes has accounted for all but one of the deaths." While this study is now five years old, many others have been completed in the subsequent years. All have parroted Kilgo: A healthy coyote local population kills 70 percent of fawns on average. This is not an immediately solvable problem, either. Coyotes are here to stay, and deer (and deer hunters) will have to continually look over their shoulder. There's nothing more damaging to any wild population than widespread disease. In the case of the white-tailed deer, one such recent outbreak is at the forefront: epizootic hemorrhagic disease (EHD). According to the QDMA, the summer of 2012 had the second worst hemorrhagic disease outbreak of all time. Hemorrhagic disease was confirmed in nearly 30 states, and tens of thousands of deer succumbed to the disease. EHD is transmitted by biting midges or flies and can have a 90 percent mortality rate in deer, the highest among any animal susceptible to the disease. "Unfortunately, in the last couple years we've experienced widespread drought across the middle U.S., including many of the nation's best hunting areas," Perez said. "And no amount of technology can make it rain more. This drought has lead to EHD certainly affecting deer numbers....We encourage every hunter to have a 'take less and give more' philosophy." There is really no concrete way to stem the tide of EHD, because it is a blood-borne disease spread by insects. The epidemic has spread from New York and Maryland all the way to Colorado and other Western states. While it might be fairly minor as far as a total loss of overall populations, this disease can be truly deadly on local levels. Whitetail hunters and land managers can only sit back, count the death toll, kill less does, and pray for cold weather. Time will tell how ugly this will get. Still, unless things change dramatically the whitetail will remain at the top of the heap.